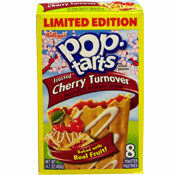 The complete name of this limited edition product is Frosted Cherry Turnover Pop-Tarts. The box notes that it's "baked with real fruit" and it's "naturally & artificially flavored." I don't really understand why this product exists. Kellogg's already makes a Frosted Cherry Pop-Tart with a similar taste and roughly the same nutritional profile. The only difference I can really find is that this Pop-Tart has less frosting - a drizzle instead of a coating. Maybe it's meant to appeal to people who really like cherry blossoms. The box is lovely. Maybe somebody at Kellogg's got really excited when they realized their Pop-Tart looks a little like a cherry turnover when it's folded in half with a drizzle of frosting (see turnover pic on box below). Maybe, they're just trying to remind us that their Cherry Pop-Tarts are pretty tasty. I write this as a guy who likes Cherry Pop-Tarts. So, I was pretty satisfied. I did missed the layer of frosting. For nutritional reasons, I don't eat Pop-Tarts often. When I do, I appreciate the indulgence of the frosting. The filling, I believe, is the same. Someone please correct me if I'm wrong. Both the regular frosted cherry pastry and this product specify that they're made with real fruit. They both taste the same. For my money, they are the same. And there you have it... some five paragraphs basically saying, "What's the point?" It's a tasty pastry. It's good toasted and it's good straight from the box... just like its twin brother. I'm giving this product the same score I'd give regular Frosted Cherry Pop-Tarts, minus one for befuddling me. Nutritional Considerations: Each single pastry serving has 190 calories, 3.5 grams total fat (1 gram saturated and 0 grams trans), 37 grams total carbs, less than 1 gram dietary fiber, 16 grams sugar and 2 grams protein. 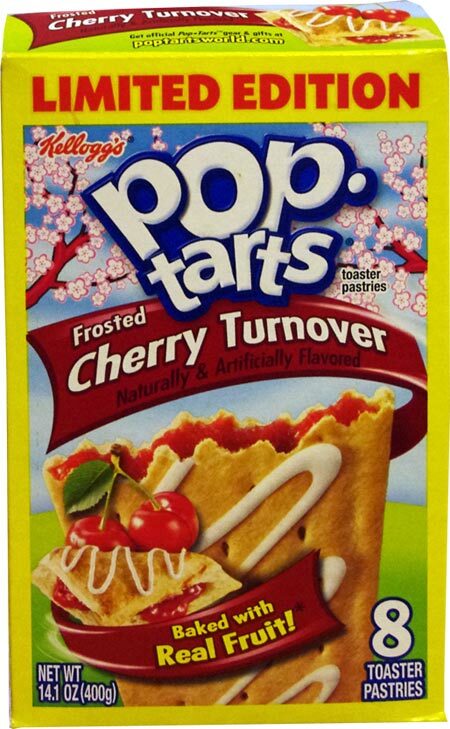 What do you think of Cherry Turnover Pop-Tarts? These are my favorite pop tarts of all time! I need them back in production ASAP people! I need them back! Loved that they weren't covered with all that hard icing. They just had a little drizzle of the icing on top reminded me of the plain Cherry they used to make. 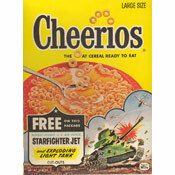 But these were better! Cherry Turnover Pop-Tarts are good. The limited edition caught my eye. After popping one in the toaster it actually smelled and tasted like a cherry turnover. Very good.